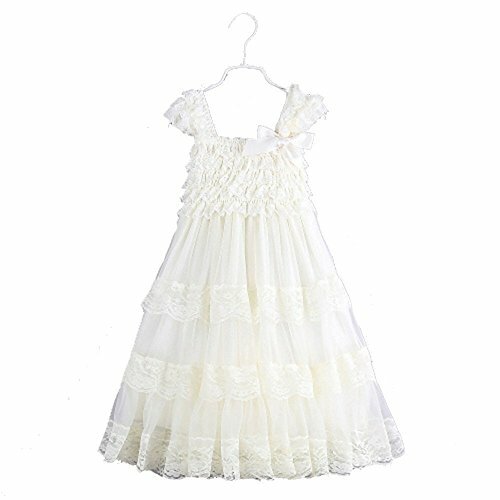 2016 lace flower rustic Burlap girl baby country wedding flower dress, Ivory, Big Size XL, US Size 5 Years | What Should I Say? perfect dress for a vintage photo shoot! Perfect for a Shabby Chic Rustic Wedding party! If you have any questions about this product by Ever Fairy, contact us by completing and submitting the form below. If you are looking for a specif part number, please include it with your message.